Moving from one place to another is a stressful time. The act of completely changing environments can be tough for your dog, too, even if he doesn’t have to worry about moving furniture or dealing with escrow. However, there are ways to make your pooch’s transition happen smoothly. On paper, it seems like a no-brainer that if you’re going to move, the family dog is going to go with you wherever you go. After all, he’s part of your family, and you would never want to leave a family member behind, right? Sadly, this train of thought tends to happen much less than you may think. Studies indicate that moving is the most common reason why dogs get relinquished to shelters. Not surprisingly, the biggest variable behind this decision involves a landlord that refuses to allow pets in an apartment or a home. If you want to continue cultivating your bond with your pooch to your next place of residence, finding a place with a pet-friendly landlord is the obvious first step. However, that’s far from the only metric that you need to be concerned about when the time comes to find a new space. It’s important that you look at a new home or apartment through the filter of your dog’s eyes as well as your own. This viewpoint isn’t just important for the first few days of the move when things are in disarray and chaos tends to reign. It’s critical for your pooch’s overall well-being. Perhaps the biggest issue you may face is the size of your new home. This point is particularly prescient if your downsizing from a larger home to a smaller home or an apartment, as there are breeds that simply don’t handle living in small confines. Other metrics like stairs and yard size may factor into the place’s appropriateness for your pooch. You may also want to get a bead on the lay of the neighborhood to determine how safe it is for your dog. This measure of safety also should take into consideration the types of dogs that are present in and around the block. You’ll want to particularly take note of dogs that are left unattended or display aggressive tendencies. Conducting this particular step will do more than assure you of the neighborhood’s safety. It will also help your pooch get used to his new environment. Getting him acclimated to various scents and sights in the neighborhood will allow him to become a little more relaxed about entering a new living space. There is no one universal trait that defines how a dog is going to react to moving to a new environment. It is one of those situations that seems to be best judged on a case-by-case basis. It’s a scenario that you as an owner will be more in tune with than anyone else. As a rule, dogs tend to roll with the punches when it comes to moving. However, some dogs may treat the move from their familiar environment to some place foreign as a source of great trauma. Again, this type of behavior is not prominent in a specific breed or age, but you’ll know it if it occurs. There are a lot of things you’ll need to keep in mind when you bring your pooch into your new home. The key elements that tend to come to the forefront are distilled in this video. If you keep these basic tenants in mind, you’ll be in a good position to handle some of the other details associated with moving. The most important thing you can do for your dog in the days leading up to the move is to not treat him as an afterthought. You’re going to have a lot of stuff going on in your life as a consequence of the move, and it may be easier to put your dog’s needs on the backburner than you realize. Guard against this for the sake of your dog’s well-being. Make sure that you are carving out the same amount of time in your schedule to spend quality time with your pooch. This chiefly means sticking to your routine regarding walking and exercising, although you may find it beneficial to spoil him a bit during this time – just as long as the spoiling ceases when he gets settled. Also, don’t be afraid to make him an active part of the move. Don’t isolate him in the corner or crate him as you pack stuff away; let him poke around and investigate what’s happening. This act of inclusion will provide him reassurance that everything is okay, which may make him less likely to engage in stress-related behaviors. 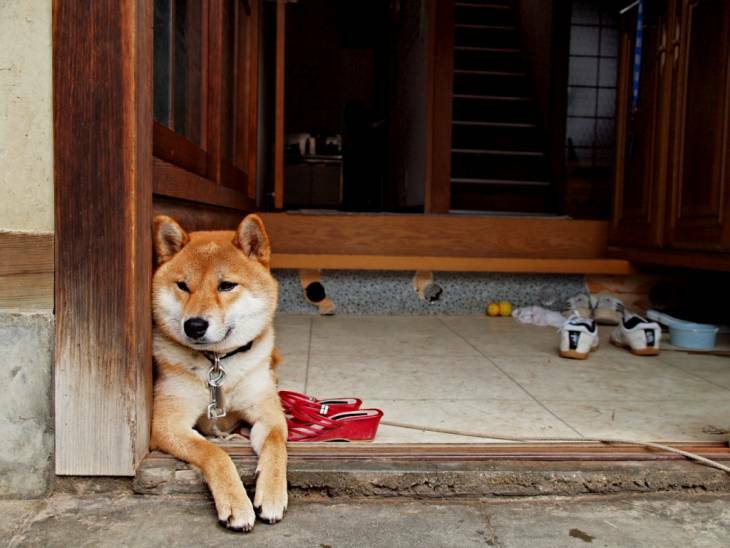 You should also make sure that you keep your dog’s environment in his old home intact for as long as possible. Make sure his stuff is the last things that get packed up and sent out. Doing this too early will inadvertently create a harsh environment for him – something he may not react to all that well. The bulk of pre-moving pooch prep will obviously be anchored by what you need to do in the home, both the old space and the new space. However, there are a couple of key elements that you need to take care of that go past the front door of your new abode. The first vital item you should take care of is to update your dog's identification. If your pooch's ID tag has your old address, go to your local pet supply store and make up a new one. In the event of a microchip, there are several different avenues you can explore to handle the updated chip info. The second step you'll want to do is to locate a veterinarian in your new neighborhood. It's important that you be proactive on this step and find a reputable one before something bad happening to your pooch, lest you’re left in a mad scramble should something bad happen. You should also be mindful of local pet emergency clinics just in case. The first step to take here is to unpack some of his belongings and set them up in the spot you’ve deemed to be his area. Allowing him to settle into his new domain right away will get him used to the new surroundings. You’ll also want to refrain from washing his blankets and bedding, as their familiar scents will further his comfort level. During these first few days or even weeks, you may see an increase in “accidents” in your home. This has nothing to do with your dog making a statement of how unhappy he is in the hew place – dogs don’t poop or pee in a certain place out of spite. Rather, this behavior stems from him not being familiar with where to do his business. As such, it's imperative that you revert to doing some basic training with your pooch so he can understand where he can and cannot pee and poop. You may also have to deploy certain training techniques to help lower things like separation anxiety if you have to leave him alone for work purposes. Making a local move from one home to another can be stressful, but it has nothing on making the move from one part of the country or the world to another. Doing so opens up a whole new world of things you need to be concerned about when it comes to taking care of your dog. Obviously, it may be a bit difficult to do some of the pre-move tactics you may be able to do with a more localized move, such as getting your dog familiar with the new neighborhood before the move. However, the same tactics you'd deploy during and after the move are still effective if you're moving cross country. In the case of a cross-country move, the actual part of transporting your pooch from point A to point B is a process that seems teeming with stress. However, you can lower the anxiety level if you do some due diligence. Flying your dog from one place to another tends to be an option that’s frowned upon. However, there are times when doing so is the only realistic option that you have, such as if you are making a move overseas. In this case, there are a few steps you need to keep in mind. Firstly, it’s important that you make sure your pooch is physically fit to fly. Elderly dogs, young pups, dogs with chronic illnesses, and brachycephalic breeds like bulldogs or pugs may not be deemed suitable for flight. It’s important that you schedule an appointment with your vet to make sure your pooch has a clean bill of health before stepping on a plane. There are also two ways that you can fly your pooch: either as “cabin” or as “cargo.” In a cabin situation, your dog can fly with you at your feet in a crate, provided he’s small enough. In a cargo situation, your dog will be “shipped” in a special component of the plane – an act that can be carried out by numerous animal shipping services. As with dog-based decision you can make, there are pros and cons to whether you allow your dog to fly as cabin or as cargo. This video gives a good breakdown of the pluses and minuses for both situations. It’s a decision that shouldn’t be taken lightly when you’re relocating, but these pros and cons may make the choice somewhat easier for you. If you do have the means to make a long-distance move with your dog by car, it is recommended that you take advantage of this situation. Indeed, there is a certain feeling of epic sweep to essentially going on a road trip with your dog. However, this doesn’t mean that such transport is without rules that should be followed. For instance, you shouldn’t allow your pooch to roam around in the car or stick his head out the window. Both activities may appear to be cute – especially to those driving alongside your car – but they can be dangerous for numerous reasons, from accidents to debris flying up from the road. Your best bet is to strap him securely into the back seat with a restraint. 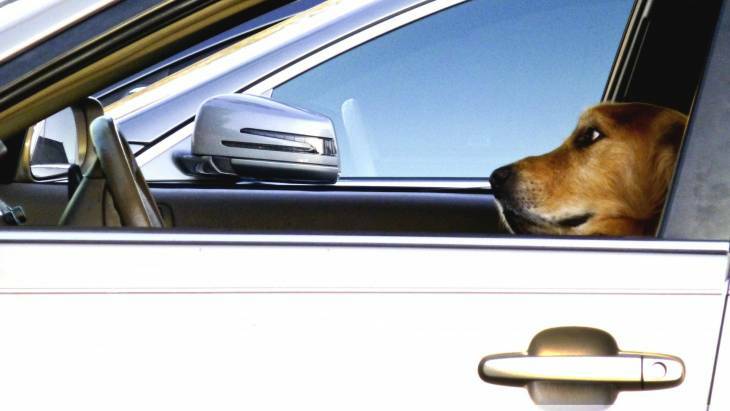 While these devices haven’t been necessarily proven to completely protect dogs from injury in an accident, they have helped limit driver distraction, which could ultimately help improve the chances of a safe cross-country drive dramatically. You should also be mindful of your pooch’s basic exercise needs during your long trek. It may be easy to neglect these elements if you’re on the road, but they are important to keep on top of, if only for the sake of maintaining your dog’s well-being. Keep in mind that a good walk to them has more to do with tapping into instinct than anything else. You'll also want to make sure you plan any overnight stays on the road around pet-friendly hotels. Oftentimes, it's not just enough to find a place that states that they're "pet-friendly;" they may have restrictions on breeds and size. Be sure to confirm with the hotel that your dog is acceptable ahead of time. Finally, make sure you provide your pooch with a measure of fun while you're out on your road trip. 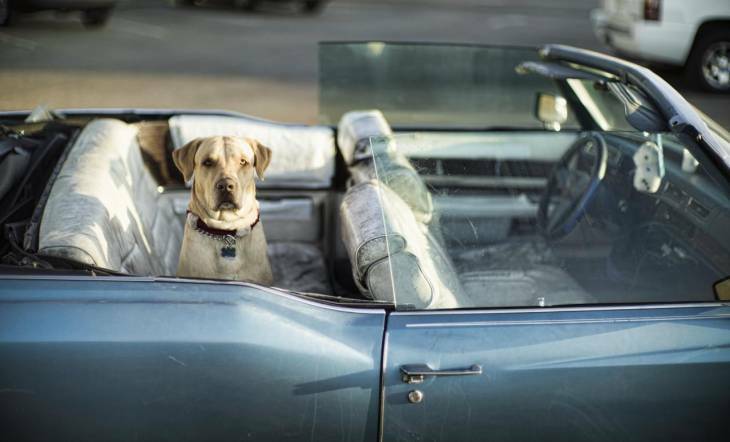 This could be as simple as making sure he has some of his favorite toys in the back seat, or it could be something more elaborate like finding a couple of dog-friendly roadside attractions where he can frolic. You may as well make some great memories while you travel. Relocating with a dog is not an easy task, but it's one that can be done with a minimal amount of stress if you perform your due diligence. Some of the tactics you should deploy are ones rooted in common sense while others tap into certain tricks that may come naturally for you as a dog owner. Above all else, though, the methods that you use to help mitigate the stress associated with doggie relocation should be tactics guided by the love you have for your dog. Yes, setting these tactics in motion aren’t necessarily easy, but they will be worth it in the long run. Do Dogs Misbehave Out of Spite?